Following 2015’s One Million K(l)icks, this is the second feature from Germany-based production company Silent Partners. It’s an Expendables–style mercenary film, elevated by a good cast, some great fight scenes (led by pocket rocket, Mike Möller, who also works as choreographer), and a committed central performance from Mark Dacascos. He brings his A-game to this low-budget German indie, and retains his enigmatic charm despite a distracting ADR job in which most of the cast – not just the German speakers – have been quite crudely dubbed. 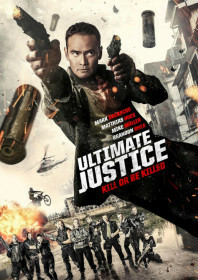 Dacascos plays Gus, an ex-GI and part of a military-trained crack team of hired fighters, led by his old German commander, Hans (Wolfgang Riehm). Hans has his home broken into, his wife raped and murdered and his daughter kidnapped, so Gus gets the band back together for one last hurrah. They’re a mixed bag of elite pugilists, and their violent techniques blur the lines between good and evil. There’s a geeky tech guy (Martin Baden), a female sniper (Yasmeen Baker), some hired muscle (Matthias Hues), an ex-cop street brawler (Henry Muller), a pub owner (Mike Leeder), a top fighter who works in a petrol station (Mike Möller), and a sadistic ex-priest (Brandon Rhea) who turns his back on the church to enjoy another round of gross-out torturing. They all seem like scumbags, apart from Gus, who is absolute charm personified and leads the troop with a sympathetic hand – until he starts killing people, that is. The film maybe focuses too much on the group dynamics rather than their motives, and at times the plot feels sidelined. But for the most part it remains engaging, and a welcome return for a few old faces.